A charming classic in one of the finest neighborhoods in Hamden!! Evergreen Place is for those who appreciate quality living in a tranquil environment. These are fine quality apartments in a highly sought after location. 1 and 2 bedroom units are offered and townhouses which have balconies and washer/dryer hookups with basements are available. HEAT, HOT WATER AND COOLING GAS INCLUDED!!! Hamden Ridge is tucked into a former apple orchard on a ridge overlooking the heart of Hamden, and offers sunny and spacious one and two bedroom apartments appointed with beautiful polished hardwood floors. 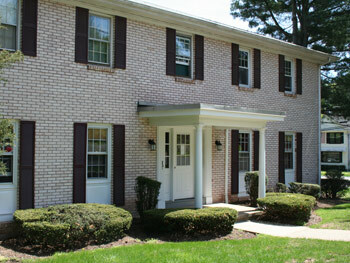 Our apartments have open floor plans, full dining rooms and lots of spacious closets. When you relax on your balcony or patio, you will enjoy the acres of beautiful landscape. 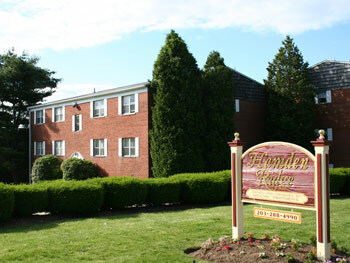 Hamden Ridge Apartments offer you a quiet location in a centrally located property within easy commuting distance of several post-secondary schools, and walking distance of the local elementary school. New Haven tech corridor and night life are easily accessible. You can drive to Union Station, commute to Fairfield County, New York City and head to Hartford. Yale, Quinnipiac, SCSU and Paier College of Art are nearby. Our maintenance staff is available 24 hours a day, allowing you worry-free living. Meticulously maintained inside and out and steps to everything. 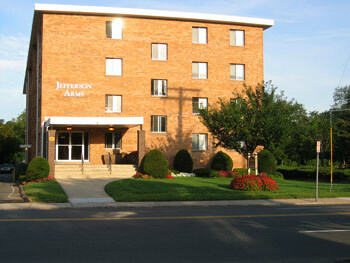 All apartments are sparkling clean, updated, and carpeted in a very solid and quiet building. We offer 1 and 2 bedroom apartments some with 1-1/2 or 2 full baths. Call today to schedule a viewing!